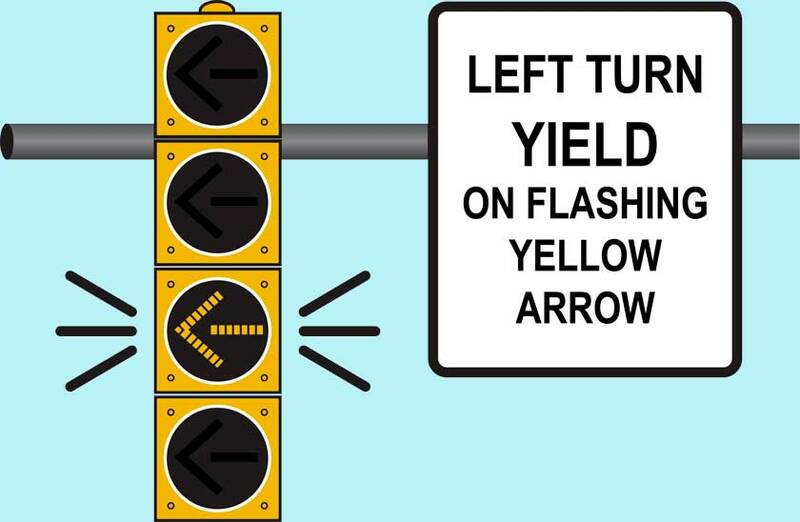 Can You Enter an Intersection on a Yellow Arrow Signal? The yellow arrow signal warns that the related green movement is being terminated. A left-turn yellow arrow means that the protected turning period is ending. You can no longer make a protected left turn at the intersection. California has a permissive yellow signal law, which means that the law does not require you to stop when a yellow signal is displayed even if such a stop can be made safely. 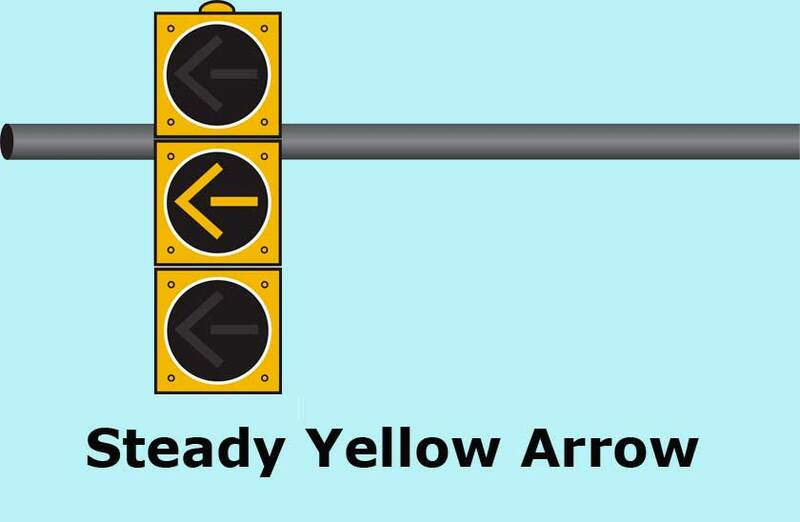 You may, in other words, enter an intersection when facing a steady yellow arrow – but that doesn’t mean that you always should. Remember, you cannot enter an intersection on a yellow signal if there are vehicles or pedestrians blocking your path. You must be able to drive through the intersection without blocking others when they get a green signal. What Signal Follows the Yellow Arrow? The next signal can be the green or red circular traffic signal or the red arrow. It can also be a flashing yellow arrow. Note that the next signal isn’t always a red signal! If signal lights facing your direction show a yellow arrow and circular yellow lights at the same time, red signals will follow. Slow down and be prepared to stop before the intersection before the red signals come on. Don’t speed up for a yellow signal. It often leads to running the red light and is a common cause of crashes. If you see the arrow together with signals showing a green ball (without changing to a circular yellow light), the protected turning time is ending. Next, you can make an unprotected turn with the solid green light or a flashing yellow arrow. Before proceeding, make sure the way is clear. What Does the Flashing Yellow Arrow Mean? A flashing yellow arrow signal indicates an unprotected turning period. For left turning drivers, the flashing arrow means the same as a circular green. A driver turning left must yield to oncoming traffic and pedestrians crossing the driver’s path. The flashing yellow arrow signal releases only left turn movements. It is an exclusive left turn signal and has no meaning to drivers going straight ahead. Compare the flashing yellow arrow to the protective green arrow: What does the Green Arrow Mean? Be the first to comment on "What Does the Yellow Arrow Signal Mean?"